Whether you ride a posh SUV, cosy Sedan or a heavy duty truck, you are sure to find high-quality wheels at Continental Murrumbeena. 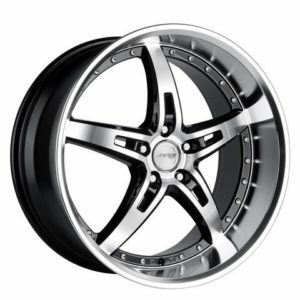 We offer a huge selection of car and truck wheels from the most trusted brands in the industry. As you explore our inventory, you will find Mag, Alloy, Steel and Performance wheels that are dedicated for a smoother ride and improved handling. We have wheels in the multitude of sizes, ranging from 13 inches to 22 inches, making shopping for wheels more convenient. Our car mechanic are experts in fitting the right set of wheels to your car with proper alignment. We pride ourselves in carrying the largest selection of wheels on the market with affordable pricing. Why Choose Us For Wheels? Our team is comprised of wheel experts who can make your car look great and ride fabulously. We will advise you on the wheels style, configurations and performance, and help you choose the right set of wheels for your vehicle. With years of experience in the industry, we are confident that we can help you choose the wheels with the perfect fit, giving ultimate look to your car. At Continental Murrumbeena, we also provide second-hand wheels that would be a brilliant upgrade to the look and feel of your vehicle. When you are about to purchase our used wheels, you are sure to get the best bang for your buck, smoother ride, and improved handling. Sturdier, glossier and hotter- our second-hand wheels always make a huge difference. Your safety is our concern and that’s why we offer you wheel alignment service for your vehicle. Properly aligned wheels can optimise the life of your tyres as well as the mechanical components. Moreover, they will provide smooth handling and a better feel. If you are in the market for a new set of wheels or for wheel alignment service, give us a call at (03) 9579 0007. We are more than happy to assist you with all your queries.